The book encourages you to be honest with yourself, to dream what is possible, and helps you decide when the time is right to make a change. It will start you on a path to do what’s required to go after your own Third Option, where you can live and work on your own terms. The Third Option has worked for countless people, and it can work for you. Working virtually does not mean working alone. You can find meaningful work and connections with other like-minded people. Discover their stories below and share your own. What if you dreamt about what your ideal life could look like? Dream big, but be honest with yourself about what is possible. 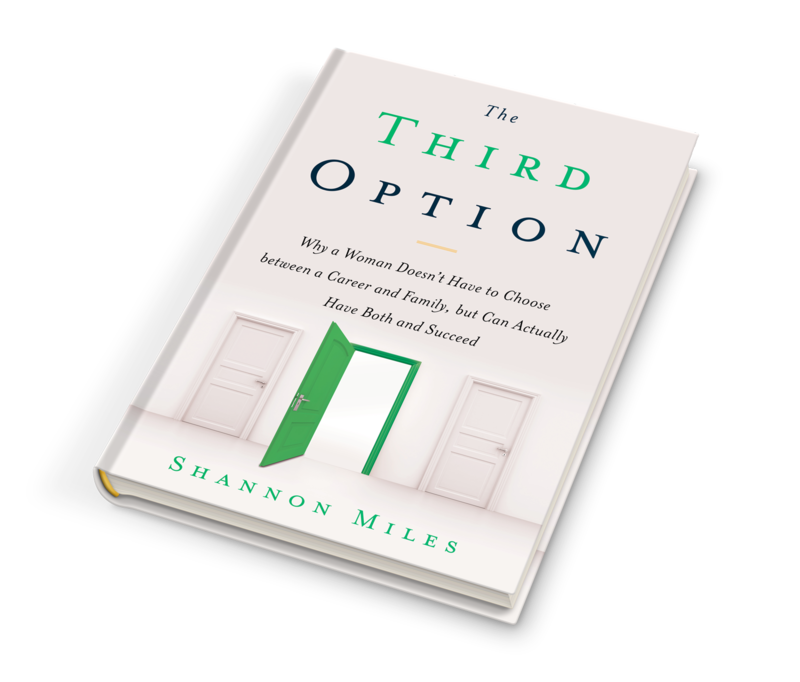 What could happen if you pursued your Third Option? If you are serious about your Third Option, you have to decide to make a change. When faced with a “No”, either accept it or push against it. But know that both are a decision. Now that you've dreamt that The Third Option is possible, what will you do next? What conversations will you have? What's the next step towards your dream? For a long time it’s been assumed that there are two options with regard to work: full-time employment and unemployment. Not so, says Shannon Miles. She discovered that there are creative ways of making one’s schedule and workplace more flexible. She created her own Third Option and then later founded BELAY with her husband Bryan. BELAY is a leading US-based, virtual solutions company, that has over six hundred team members—all working from home, pursuing their Third Option. Without an office, BELAY has graced the Inc. 5000 list three times and was awarded the number one spot in Entrepreneur Magazine’s Best Company Culture.